Huawei Mate 20x is the flagship of Huawei smartphone brand. The phone include a lot of features and beautiful design. 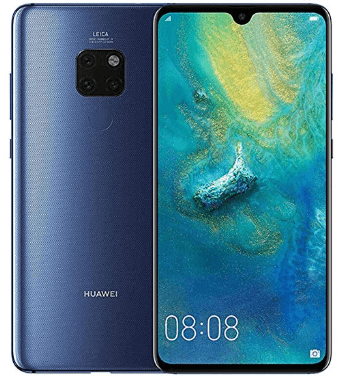 In this article, you will find all the required drivers for your Huawei Mate 20x smartphone. Just navigate to the download section of this page and then download the latest drivers for your Huawei Mate 20x. The type of display is OLED capacitive touchscreen equipped with 7.2 inches screen supporting resolution of 1080×2244 pixels protected by corning gorilla glass technology. The default version of software installed on it is Android 9.0 (Pie). The camera of the phone include triple 40MP + 20MP + 8MP primary camera with dual LED flash including features and 24MP secondary camera with HDR for selfies. The connectivity medium include WLAN, Bluetooth, GPS, NFC, Infrared port and USB. The phone is powered by Li-Po 5000 mAh battery and support Hybrid dual sim. Huawei Mate 20X price in Pakistan is 143,500.